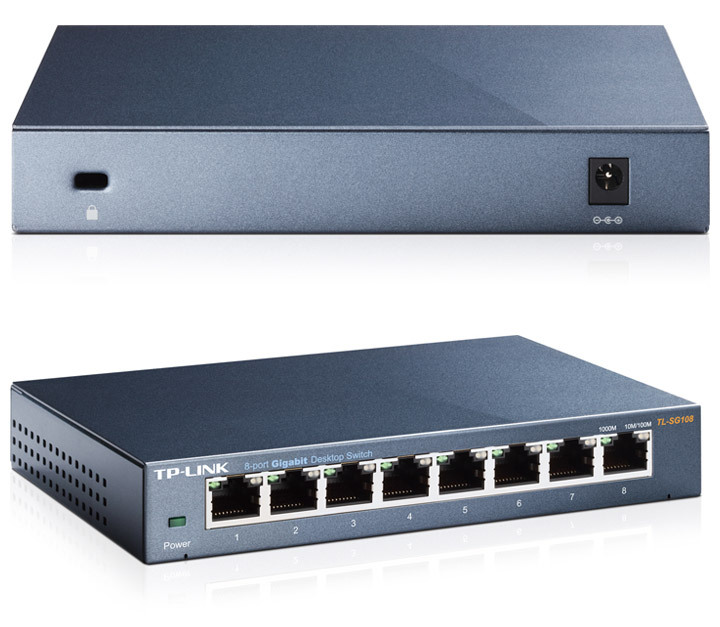 The TP-LINK 8 Port Desktop Switch provides you with an easy way to make the transition to gigabit Ethernet. Increase the speed of your network server and backbone connections, or make gigabit to the desktop a reality. The TL-SG108 adopts a lower power consumption design - with the innovative energy-efficient technology, the TL-SG108 can save up to 72% of the power consumption, making it an eco-friendly solution for your home or office network.